Happy Monday Mamas! I’ve got something exciting today for adult Disney lovers! Finally, a Disney World Scavenger Hunt for adults! Created by a former Walt Disney World Cast Member, this Disney World Scavenger Hunt exposes plenty of Disney World “secrets”, cast member insider tips, and showers you in Magical Pixie Dust. What’s this Magical Pixie Dust I speak of? Well, you’ll find out in one of your challenges…! There are 15 pages of clues with 75 challenges designed to help you discover and experience Disney World like you never have before. 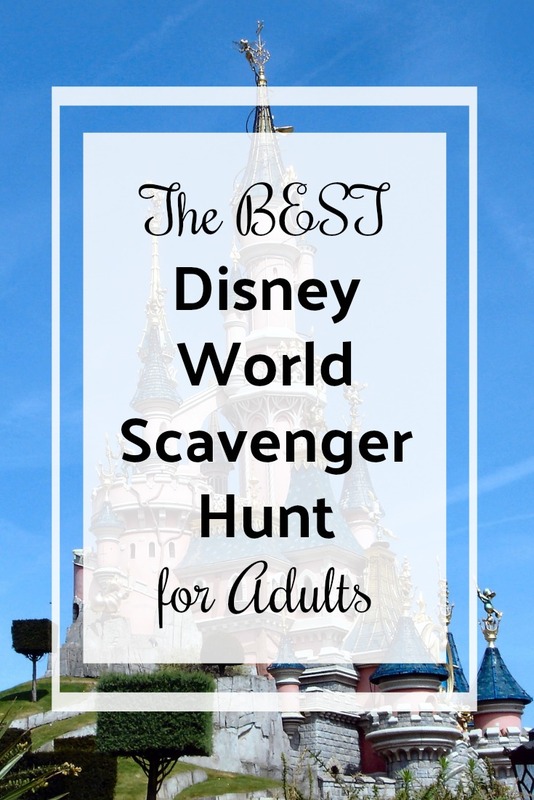 A Disney Scavenger Hunt for adults brings a whole new level of fun (and friendly competition) to your next Disney World trip! I have to warn you, this isn’t just any Disney World Scavenger Hunt. It’s not meant to be easy like the other scavenger hunts I’ve shared. This Disney World Scavenger Hunt for adults is for extremely competitive, extremely extra game-loving Disneygoers who want a challenge. Challenges in this Disney World Scavenger Hunt for adults ranging from pure luck (be on a ride that has an emergency stop) to I-Spy (spot a Hidden Mickey in a bathroom) to interacting with Disney Cast Members (ask a Custodial Cast Member to show you the “Disney Scoop”) to brain-teasers (wake up a Goddess, erupt a volcano, and order a drink from beyond the grave) to full-on participation (get scolded by your server at 50’s Prime Time Cafe). Every challenge in the hunt invites you to experience Disney parks in new and different ways. 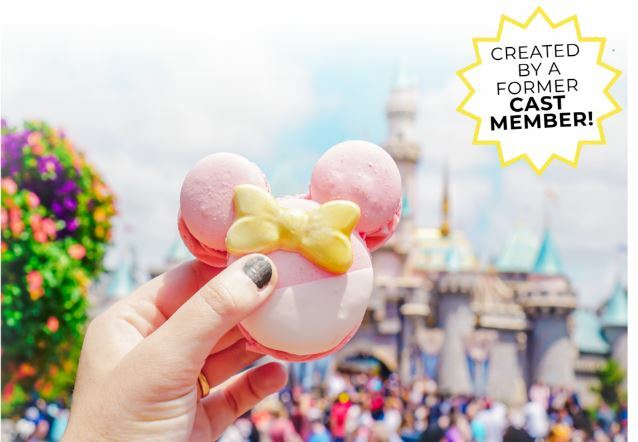 Get ready to befriending Cast Members, discover Disney secrets, and encourage teamwork and collaboration so you can make your next Disney vacation an epic adventure like no other! The Scavenger Hunt is family friendly in the sense that the challenges are all perfectly PG. It is suggested for ages 7+ for some of these challenges based on difficulty. That said, adults definitely have the upper hand, because there are a few 21+ challenges that essentially just involve ordering a fancy drink. However, the game is meant to be played in teams, so if you’ve got a balance of kids and adults on a team, your skillsets can be used collaboratively! This is not a “sourced by Google” kind of game – a WDW Cast Member and her husband went to the Disney Parks, found and tested different secrets, and figured out ways to word them that provided context and hints without giving too much away. They also tested the answer keys for accuracy. The Disney World Scavenger Hunt is current as of 2017 and does not include Pandora at this time. These games are not in any way associated with or endorsed by Disney. If you go on a Disney World Scavenger Hunt come back and let me know how it went!